Welcome to Durand, Wisconsin and to the Corral Bar & Riverside Grill on the banks of the scenic lower Chippewa River. We are just fifteen miles upriver from the mighty Mississippi River. The Corral buildings rest upon land that was surveyed and lotted out in 1857 and have served their many owners in a variety of forms throughout their history including a general store, tv/radio repair store, former bars (B&B Buckshots, Buckhorn, Komro’s), shoe stores, and barber shops. 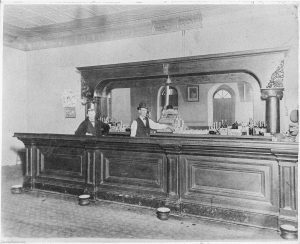 The Corral Bar was established in 1972 by Bill and Marge Weiss, and Marge Berger was employed by them until she purchased the business on April 15, 1977. Prior to working at Cor ral Bar, Marge spent her time helping on the family farm east of Durand and raising her nine children. Marge brought with her a farming work ethic and a farm-like open for business everyday mentality. The Corral has not been closed a day since opening April 15, 1977. Over the years, Marge has received much gratitude from road weary holiday travelers as well as local customers for being open when other businesses were not. Marge’s daughters, the current owners (Lori, Sharon, and Karen) are carrying on the same “can’t be open for business if you are closed attitude” despite all working full time jobs. 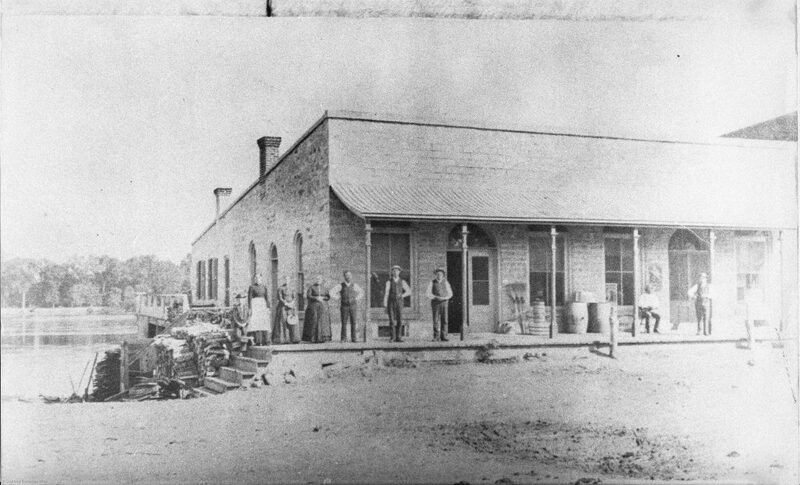 The first twenty year s of business at Corral Bar was mostly tavern and social in nature. Card games, pool and softball leagues, live music, or a friendly conversation over a favorite beverage dominated the business day. Live bands played almost every Friday and Saturday night from 1985 through 2001 and provided more than a few good memories to those who liked to kick up their heels on the dance floor. Live music is currently limited to special occasions only. Prior to November 1996, the food menu consisted of broiled triangle hashbrowns, hamburgers and sandwiches, hot beefs, soups, chili, and pizza (and a few pork hocks, turkey gizzards, and pickled eggs that were popular with the men and women softball teams). Over that time period, the Corral became a busy local community hub where everyone was welcome! In 1995, the changing alcohol consumption and driving laws, motivated Marge and her son, Ron, to think about a possible expansion of services to provide for our changing customer needs. In 1996, the opportunity presented itself, and the Riverside Grill building was purchased and remodeled. A full service kitchen (download our full menu here) and dining area were added, thus becoming the Corral Bar & Riverside Grill. 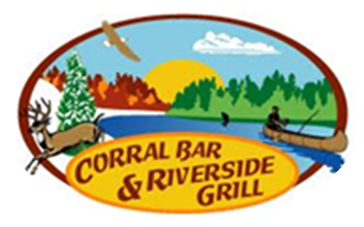 From 1997-2000, the Corral Bar & Riverside Grill successfully made the transition from an alcohol dominated sales business to a food dominated sales business without missing a beat. The business also added canoe and kayak rentals in 1998 at the request of some out of state customers who mentioned it after looking at the scenic Chippewa River while dining on our deck. The Corral Bar & Riverside Grill has also hosted an annual September UCP golf scramble fundraiser for the past 11 years. Also, for the past 6 years, it has assisted and hosted a January UCP fun night and live auction raising over $150,000 between the two fundraisers for UCP of Northwest Wisconsin. 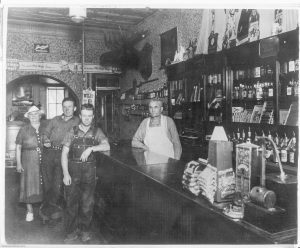 Over the past twenty years, the Corral Bar also became a popular destination for hunters, as we became the local DNR registration station # 4701 for turkey, deer (hunters ask bartender to see our big buck hunting photos) and bear. Corral Bar also hosts Packers and Badgers game parties and game bus trips to Lambeau Field. There is an ATM, and the restaurant and bar is handicap accessible. In 2010, Corral Bar built a four season glass smoke room on the deck overlooking the scenic Chippewa River. The outside dining deck is very popular when weather permits and is a destination for many bike trail riders, as well as motorcyclists, snowmobilers and car club enthusiasts. 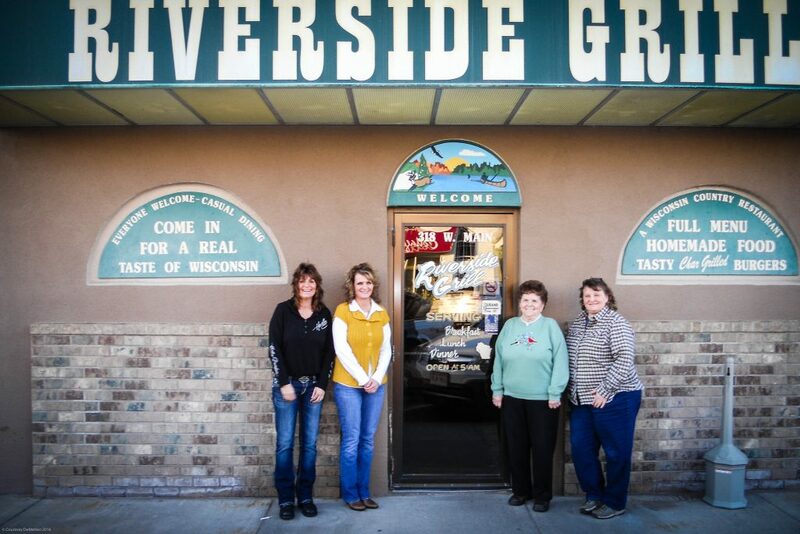 After 31 years of being open every day, in July of 2008, Marge sold the business to her daughters, Lori Snapp, Sharon Berger, and Karen Berger, who have with Marge’s assistance continued to carry on the family tradition of being open every day before the sun. Your new hosts, Sharon, Karen, and Lori, along with Marge, the rest of her nine children, Rick (Mouse), Ron, Greg, Doug, Milly, and Bill and their families, and the staff at Corral Bar & Riverside Grill would like to extend a warm welcome to all and hope you enjoy our hospitality. We thank you for your patronage, and please stop back and visit us for “a real taste of Wisconsin.” We are dedicated to YOU, our customers, and will continue to open before the sun rises … every day of the year. Our family welcomes you 365 days a year!